We are 100% available to cook and serve a great Kosher private chef dinner. 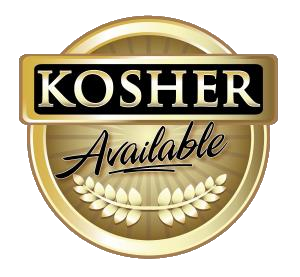 We provide a certified Mashgiach to oversee event, chefs, and servers. To give you an idea of how your service works, simply choose the menu you desire, adjusting or requesting any item as your/his heart desires. Confirm time, date, address, make payment with our office and supply us with details. C.L.A.S.S. Chef - Your very own C.L.A.S.S. Private Chef will shop, prepare, and cook under the supervision of a certified Mashgiach , your selected dinner from scratch. Your chef will work together with you, and the C.L.A.S.S. server to execute all aspects of your dinner. C.L.A.S.S. Mashgiach - Your C.L.A.S.S. Mashgiach will work directly with you, your guest, and the chef. Your C.L.A.S.S. Mashgiach will shop with the chef for ingredients, will transport ALL ingredients and materials, will Kosher the kitchen and eating area. All foods will be inspected and cleaned under Kosher guidelines. The plate ware, glass ware, and silverware will be Koshered. The Mashgiach will remain the duration of your dinner to oversee all aspects of the dining experience. C.L.A.S.S. Server - Your C.L.A.S.S. Server will work directly with you, your guest, the chef and Mashgiach. Your C.L.A.S.S. Server will make all drinks and clear all empty plates, glasses, and trash from the party area as well as take out the garbage and sweep & mop the floor. The Private Chef service includes Mashgiach, chef and one server per 6 guests.